Discussion in 'Introduce Yourself' started by DreadfulLullaby, Sep 17, 2017. Hi There! I just joined and I'd like to introduce myself. My name is Steph. I am 22 years old and I live in Canada. I work as a professional horse trainer, and I own two horses of my own, so it's safe to say my life has been taken over by horses! I also have four rabbits and a cat... I really like animals lol! Anyway, I was actually drawn here for a specific reason. My husband and I got married just over a year ago, but about two weeks before our anniversary, he announced that he doesn't love me anymore, and wants a divorce. The whole story is very similar to many others I have come across who are standing for their marriages. He has moved out, cut off all communication, and I have reason to believe quite strongly that he is seeing another women on some level (although at this point I am not 100 percent certain). He is also struggling with depression, and believes he might also be bi-polar. He acknowledges these issues, and yet he has still chosen to leave. It's all very confusing, but then, that is one of the devil's favourite weapons. What makes our situation a little different from most though, I think, is his mother. Although not a professing Christian, my husband has been taking a great interest in the Lord, ever since he requested to come to church with me for the first time, about six months into dating. His mother however, does NOT know God. My husband and his brother have different fathers, both of which are long gone. She has been married in the past but it did not last. She is currently single, and has never shown my husband a strong, healthy relationship. I believe this contributes to our problem. She is also VERY manipulative, she is borderline emotionally abusive, and she is extremely attached to my husband. They have always had an extremely unhealthy relationship. She has been working very hard since we got married, to convince him to leave me, and go back to live with her. He would deny all of this. He is blind to her. So, that is where I'm at. I am here hoping to both find and offer encouragement. I hope to find others in similar situations, so we can help each other through it all, and I would love to pray for other standers and their prodigals. Hello! Welcome to CF! And I'm sorry for the difficulties in your life right now. It's a difficult situation you're in. The Scriptures warn us against divorce, but Paul does allow that if an unbeliever wants to leave that we can let them. So, hopefully you'll take that advice since it doesn't really come from me, but from the Scriptures. I only have your testimony of the issue, but if what you say is true, yes, you likely chose a spouse who really wasn't mature enough to be ready to go out in the world and live his life. I know it's probably heartbreaking, but it is what it is. You can be praying for him. I would suggest that you don't approach mom with your thinking because if he's like you say he is, you'll likely just be making the problem worse. Sadly, there are parents who grow to love their children in ways that aren't particularly helpful for them. Most parents prepare themselves for the day when their children will leave and handle it pretty well, but not all of them. I remember when my son started college, preparing myself that he wasn't going to be around much anymore was something that I had to begin to understand. Likely, your MIL being alone doesn't help her ability to cope with the loss. However, your suspicion that he's having an affair would mean that this isn't about his overbearing and controlling mother so much as it is about a young man who really didn't understand what he was doing when he entered into marriage. I will pray that it all works out well for you. Thank you for all of the advice. I do have some real life friends who I am leaning on, I'm Just looking to see what else I can find! And yes, I am well aware of the scriptures about unbelieving spouses, and I have definitely thought and prayed about it, but I believe God is calling me to stand for this marriage rather than move on from it. If that changes I will be trusting God to show me the right thing to do. I also know it is not all about his mother, but her stronghold and bad example is not helping anything at all, that's all I'm saying! Again thank you! You have given me something to think about. Not sure I have any good advice on your marital issues, but I hope there will be some here who can relate and provide some wisdom, and I'd like to welcome you here to CF. I know you will find support here and people willing to pray for you and with you in this time of trial. Well, for my part, I applaud you for standing with God as to how you want to continue, as best you can, in preserving your marriage. I also agree with you that if things with the MIL are as you say they are (and I'm not saying that you aren't being truthful, but I've learned to always allow for the other side of the story), then she isn't being helpful to the marriage. In fact she is breaking a command of God regarding marriage. What God has joined, let no man put asunder. Most marriage ceremonies start off asking the question that if there is anyone who thinks the marriage isn't a good idea that they should either speak now, or forever hold their peace. I'm going to assume that she wasn't listening during that part. Listen, God bless you richly as you pass through this trial and I hope, for the sake of the marriage, that it can be overcome. We appreciate that you took the time to read and agree to our site-wide rules when you joined, and we would be happy to answer any questions you might have on those rules. We would encourage you to spend some time exploring all that our site has to offer. If you are looking for thought-provoking discussions and debate you might want to check out Theology or the Discussion and Debate forums. If you are looking for fellowship and fun you might want to spend time in the Leisure and Society forums. Whatever your interests are, we know that you will find a wide variety of opportunities for involvement here at Christian Forums (CF). 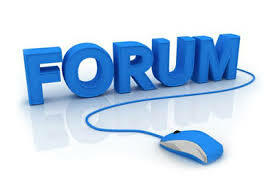 While you are exploring CF, you will find that there are categories which consist of specific, topic-based forums. There are only two categories, Theology and Edification, which are for Christian members only. The remaining categories are open to all members. Please note that some of the forums have threads which are stuck to the top of the page. These are known as "sticky threads" and they usually contain information relevant to that specific forum. If you aren't sure where to post on a particular topic, just contact a CF staff member and they can help direct you to the appropriate forum. CF is moderated by staff members who are responsible for making sure that CF runs smoothly. You can view a list of CF staff members in the Help link. If you have questions related to a specific forum, please feel free to send a private message (PM) to any of the staff members and they will assist you. If you have questions about CF, please post a thread with your question in the main Questions about CFforum, or it's subforum the Tech Help Desk. We know this is a lot of information to take in at one time, but we also know that you will get a handle on things quickly as you get involved and start fellowshiping with other members. If there are any questions or concerns that you would like to bring to the attention of our CF Administrators, please open up a Ticket in the Support Tickets area. It is our sincere desire that all of our members have a positive experience while participating here at Christian Forums. Once again, thank you for joining Christian Forums, we look forward to getting to know you better. Hi; good to see you; so sorry about your circumstances; God bless His Word to you; John 14.1-27 and Psalm 46 are strengthening passages for the believer. Thank you very much! I do like worship music, I will definitely take a look. Welcome to CF, Steph. May you find great fellowship and godly encouragement here! I commend you for seeking God's direction in your difficult circumstances. If you continue to obey His leading you will be victorious no matter how your marriage turns out. You are more than a conquer through Christ!